But that's exactly how it was. Sean Dyche often speaks of the run of seven wins in September and October being a crucial part of the season but the run that started in February of 2014 gave us a massive lift. We'd played all 23 teams before the New Year and now we were set to play them all again after the singing of Auld Lang Syne, starting with Huddersfield, one of those three teams who had beaten us, on New Year's Day. By this time the manager had been with us for just over 14 months and the only team to come to Turf Moor and score more than one goal in a league game was Birmingham. That number doubled as a certain Martin Paterson scored twice for Huddersfield but this was still a comfortable enough win for the Clarets, more so than the 3-2 score suggested. We'd been without Ben Mee during the Christmas games, a rare injury in a season when we had so few, but he was back. 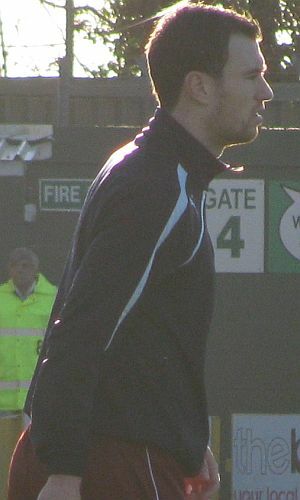 An interesting inclusion on the bench was Ryan Noble, highlighting without doubt our lack of strikers, but it would be the last time for him with his departure from Turf Moor not too far away. Danny Ings twice gave us the lead in the first half, either side of a Paterson goal, and it looked as though the points were ours when Kieran Trippier scored his first ever Turf Moor league goal to make it 3-1. Pato got another and, incredibly, Huddersfield had a late chance to level it. That took us back into second place as we got a break from the league to visit Southampton in the FA Cup and a reunion with Jay Rodriguez. He was on the bench but by the time he came on ten minutes before half time we looked to be heading out of the competition after Nathaniel Clyne and Rickie Lambert had given the Saints a two goal advantage. That was the half time score but what a remarkable second half performance we got from the Clarets. Saints' fans Sam Vokes and Ings brought us level before the tables were turned with Burnley fan Rodriguez giving them the lead again. Adam Lallana made it 4-2 before Kevin Long got his first Burnley goal. We'd lost 4-3; we'd gone out of the FA Cup in the third round for a third successive season, but we'd been so unlucky and this was certainly no performance to damage the confidence despite the four goals conceded. One week on and we were back in league action, just a day before the editor of Clarets Mad celebrated his 62nd birthday, if that is really anything to celebrate. I thought it was, it got me a free lunch on the way to Yeovil for what was our first ever visit there. I'd even received a birthday present too. Back in 2006 we signed Eric Djemba-Djemba on my 54th birthday, but two days before this one we finally got the striker we'd hoped might have been signed in August. Back in August we'd been linked with Brighton's Ashley Barnes, one of the players sent off in the Battle of the Amex in December 2011. We'd finally got our man. We drove through the floods that had hit the south of the country but the Huish Park pitch was fit and the Clarets secured a first away win since Doncaster in October. We were 2-0 up just past the hour with Ings and Vokes both on the scoresheet again. Yeovil did pull one back with ten minutes remaining, a cross from the left deceiving everyone and going in at the far post, but we didn't have too much holding on to do and even got the opportunity to give Barnes a late debut. "We are staying up," could be heard from some Burnley supporters at the end of the game. We'd reached the 50 points total, at which point Stan Ternent always said it was time to crack on. This time we were cracking on with 21 games still to play. Those two wins against Huddersfield and Yeovil looked vital when we drew the next three games. Vokes gave us the lead just before half time against Sheffield Wednesday, only for Chris Maguire to equalise immediately, and three days later Brighton also took a point home from Turf Moor in a 0-0 draw. We were back in third place by now, three points behind second place QPR and a visit to Loftus Road next on the agenda. I'd two new friends with me for the lunchtime trip West London, a pair of crutches that would get me to most games for the rest of this section of the review. There had been some whinging on the message board that we had now started to give away too many goals from set pieces; there's always something to moan about of course, and they were granted more ammunition as we twice fell behind to goals from corners in this game, either side of an Ings equaliser. Behind at half time but what a second half performance from the Clarets. Vokes got a double to give us the lead for the first time. Ings was close to making it 4-2 but in the end we had to settle for a draw when one of Harry's several deadline day signings netted a late equaliser. Their first had come from debutant Kevin Doyle with Modibo Maiga getting that late third. "Good point," were my words at the final whistle as we remained in third place. I thought a point there was a damn good, indeed a 'triffic, result in front of not far short of 1,500 Clarets paying the inflated QPR prices. One week later we were back in second place, and a second place we were not to relinquish for the remainder of the season. I can't say too much about the Millwall win I'm afraid. For the first time since the stand was built on the Longside I was unable to take my seat. Throughout my time on the crutches I have to say that at every away match I attended I was greeted with stewards offering immediate assistance. The reaction from both stewards and senior staff at Burnley was quite appalling. No help was given and I was even told I would not be allowed to my seat if I was using crutches by one senior member of the club staff. As it happened, the medication I'd been given had caused a reaction and that was the reason I missed this game (I did use my crutches subsequently at Turf Moor) and I missed a bit of a treat. Having gone behind to a Martyn Woolford goal we ran out easy winners with Ings scoring two superb goals and Dean Marney getting his first goal in so long none of us could remember the previous one. We could even afford to miss a penalty which would, ultimately, have given Ings his first hat trick. The next week saw us get four more points on the road. In a largely uninspiring game at the Reebok, where the electronic advertising made it difficult to see, we won it 1-0 with a Vokes goal. On the Saturday we travelled to Bournemouth. We were already on the M6 when we heard the game had been given the go ahead after more horrendous weather in the south (and how good is that for a northerner?). The pitch was a right mess, and that's being polite, and we didn't play at all well against Eddie Howe's team for whom, incredibly, Tokelo Rantie scored again, this time the smallest player on the pitch scoring with a header. Again, as in the home match against them, we equalised to earn a point and I don't think Keith Treacy could have chosen a better club, or more significantly a better opposing manager, to find the net. He and Ross Wallace had come on as subs. For Wallace it was a first outing since he was ruled out back in August for knee surgery. His deflected cross was met by Treacy at the far post and he gleefully found the net. Now it was time for the crunch fortnight. We had Nottingham Forest and Derby coming to Turf Moor in successive weeks. They were the two clubs threatening our second place now more than any other with QPR on a poor run. And just to cap that, we'd the short bus convoy to Ewood to follow. On the Wednesday night before Forest arrived they were beating Leicester with less than ten minutes to go and Leicester had seen a player sent off. A win for Forest would see them come to Turf Moor needing another win to overhaul us. They were the side in form and had they held on against Leicester they would have been three points behind us, but thankfully a late Leicester equaliser saw them arrive with a five point deficit. It mattered not. We simply blew away the whinging Little Billy and his team. We led 3-0 at half time in some of the most sensational football played at Turf Moor in a long, long time. We were, quite simply, brilliant. Scott Arfield scored the first one and that was followed by a Vokes double. Forest could not have complained had we gone in at half time with an even bigger lead. This had eclipsed the QPR performance back in October. They did pull one back with a penalty in the second half but they were a well beaten side. They left Turf Moor some eight points behind us. Any threat they were offering was well and truly over but the same could not be said of their close neighbours Derby. Steve McClaren had turned things round since replacing Nigel Clough. With the weather unpredictable and neither umbrellas nor coffee cups available, he opted for a place in the stand initially. He wasn't happy at the end, all over one decision. just before half time. By then David Jones had scored a superb opener which followed some comical defending from Andre (Norman) Wisdom, a cross from Michael Kightly and a neat flick from Ings. You sense something daft might happen when the word Madley is written in the programme next to referee, no matter whether it is Andy or brother Bobby. This time it was Bobby and he sent off Chris Martin for a second yellow when he went down in the box. Initially I thought it was a penalty, in any case the ball went into the net, but Madley was waving a second yellow and then a red at Martin. Now, in truth, Martin might have been sent off earlier and was, perhaps, fortunate to still be on the pitch. But he clearly slipped here. There again, who cares? The moaning Derby fans did on the message board but Marney scored again, this time from the well worked corner routine that wasn't quite as well worked, and we won 2-0. Now Derby would have gone above us had they won, but they were now five points behind us and when we arrived at Ewood Park eight days later at not too long past breakfast time they'd already lost again at home to Millwall. This was the day. It is one I'll never forget. This was the day I wrote in my match report that our closest rivals could hurt us no more. This was the day of the away end at Ewood Park as we came from behind to win 2-1 with Jason Shackell and Ings scoring the goal. With Robbie Blake representing us in the claptrapping box and current Claret Steven Reid supposedly representing them, this was very much pay back day. Mike Dean had to contend with chickens on the pitch early in the game but when he blew that final whistle surely there was no better place on earth to be than the Darwen End at Ewood. 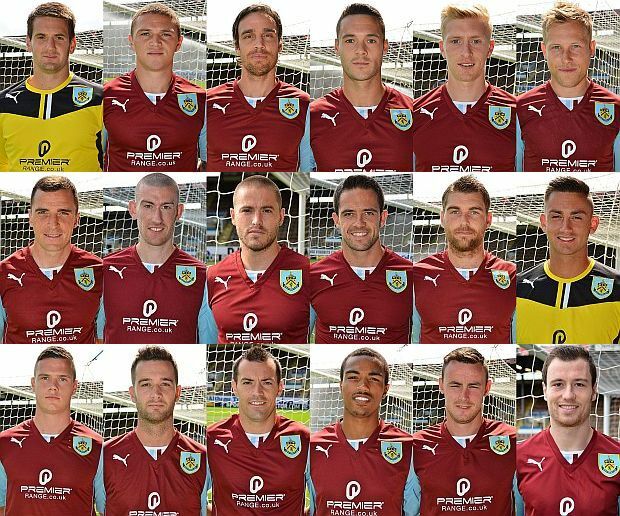 "35 years, who gives a ****, we're Burnley FC and we're going up," was bellowing from us. I knew that day we were going to be promoted. I could not see how on earth we would relinquish an eight point lead with just 12 games to go. What a place to get that feeling, what a day, what a result, they really can't hurt us now can they? We had 69 points from 34 games. Derby were next with 61, then came QPR with 60 and Forest down on 55. There were now only two challengers and both had mountains to climb.